I ended up using fence palings….. Ideally, the whole length would’ve would have been leveled off with road base or similar…. 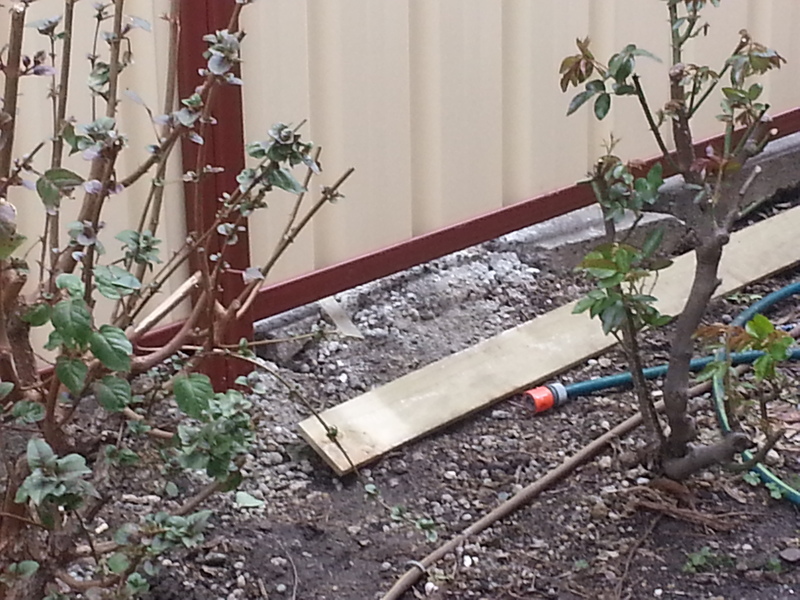 But in honour of Mamma Tony, we have ‘Reused’ and ‘Recycled’ – using the rubble that the fence installers left behind. Previous PostJohn’s Garden Reno 1: The Wheel Barrow!Next PostJohn’s Garden Reno Update 3: 3000L of Mulch!